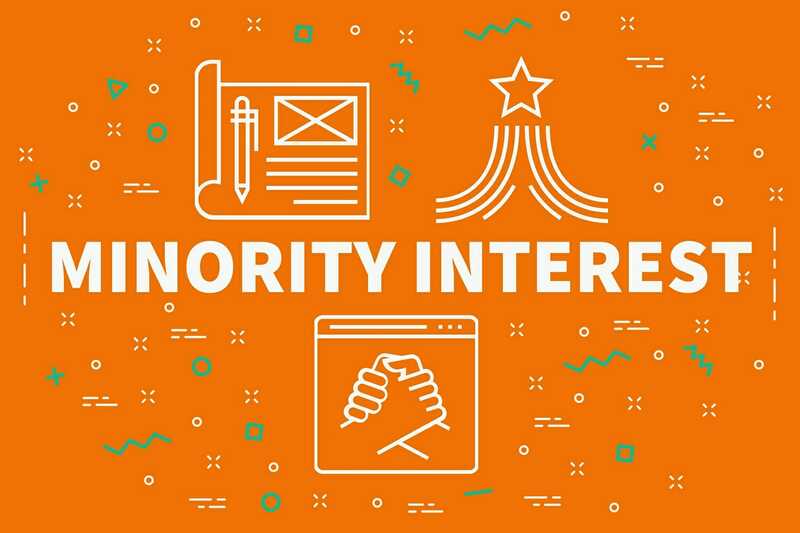 Minority interest refers to having a stake in a company that is less than 50% of the total shares in terms of voting rights. Essentially, minority investors don’t exercise control over a company by way of votesProxy VoteA Proxy Vote is a delegation of voting authority to a representative on behalf of the original vote-holder. The party who receives the authority to vote is, leaving them with little influence in the overall decision-making process. In most cases, minority interest stakes range between 20% to 30%. On the balance sheet of a company with controlling interests, minority shares are usually shown as non-current liabilitiesTypes of LiabilitiesThere are three types of liabilities: current, non-current, and contingent liabilities. Liabilities are legal obligations or debt owed to another person or company. In other words, liabilities are future sacrifices of economic benefits that an entity is required to make to other entities as a result of past events or, and they represent the portion of its minor companies owned by minor controlling interests. Minority interest can be classified as active or passive. In passive interest, the controlling stake is usually below 20%. Under passive interest, a subsidiary company does not exert influence over the major company. On the other hand, the controlling stake of an active interest ranges between 21% to 49%, and a subsidiarySubsidiaryA subsidiary (sub) is a business entity or corporation that is fully owned or partially controlled by another company, termed as the parent, or holding, company. Ownership is determined by the percentage of shares held by the parent company, and that ownership stake must at least 51%., in this case, enjoys voting rights to influence the major company. For minority interest, financial reporting occurs only when the major company prepares a separate set of financial statements and consolidated financial documents. Adjustments in the minority interest take place when the major company owns a less than 100% stake in the minor company. In terms of profit and loss account, minority interest is that part of consolidated profit and loss that comes under ordinary activities after taxation. According to IFRS regulationsIFRS StandardsIFRS standards are International Financial Reporting Standards (IFRS) that consist of a set of accounting rules that determine how transactions and other accounting events are required to be reported in financial statements. They are designed to maintain credibility and transparency in the financial world, minority stake falls under equity. However, in the US, GAAP imposes slightly relaxed rules on reporting. GAAP allows minority interest to be shown under the equity or liability section. On a balance sheet, minority interest is shown as a separate line item. In such a way, users of the financial statement can see clearly all the controlling interests in the parent company. Users can make informed choices based on the comparison of patterns in the different minor companies. Valuation of a company needs proper forecasting of financial statements to understand future trends using certain parameters and assumptions. Nearly all the figures used in forecasting are directly related to net profit and revenue. Unfortunately, making forecasts based on these two parameters can generate data subject to multiple interpretations. Thus, to deal with the issue, analysts developed four methods that can be used to carry out accurate computations. The constant growth method is barely used because the assumption is that there is hardly any decline or growth in the performance of a minor company. In the numerical growth method, previous figures are analyzed to ascertain existing trends. The model predicts growth of a subsidiary at a uniform rate based on past trends. Also called numerical growth, statistical growth uses a number of important tools to forecast trends such as time series analysis, moving averages, and regression-based analysis. However, the analysis method is not applicable to companies experiencing dynamic growth such as FMCG. The analysis method evaluates each subsidiary on its own and then adds up the individual interests of each minor company to achieve a consolidated value. This method is much more flexible, and the results are very accurate. Unfortunately, it does not work in all cases, because it results in cost and time constraints. In addition, it won’t work where there are very many subsidiaries to evaluate. One important thing to remember is that when it comes to valuation of minority interest, there are many factors to consider, both external and internal, that are applicable to a company and its industry of operation. The factors need careful assessment as their impact is different for each company. One of the questions many people ask is whether minority interest is relevant when it comes to ratio analysis. The short answer is yes, it is very relevant. Why? Well, any financial ratio that involves investment structures should take into consideration the implication of a minority stake. Some of the ratios that are affected include return on equity, debt-to-equity ratio, and capital gearing ratio. Minority Interest: Liability or Asset? Liability is the compulsion of a company due to previous undertakings resulting in an outflow of resources. For example, provisions on uncleared debts, employee wages and dues, as well as creditor balance. The examples indicate and involve the outflow of a company’s resources in the form of cash or other equivalents in due course. However, since cash won’t be paid out to clear the interests, they are not considered a liability. On the other hand, an asset is something with value attached to it. Assets can be converted to cash or its equivalent. While an asset possesses value, the controlling company exercises no control over the value. Thus, minority interest is a non-controlling stake in a company, meaning it is neither a liability nor an asset. Minority Interest: Equity or Obligation? 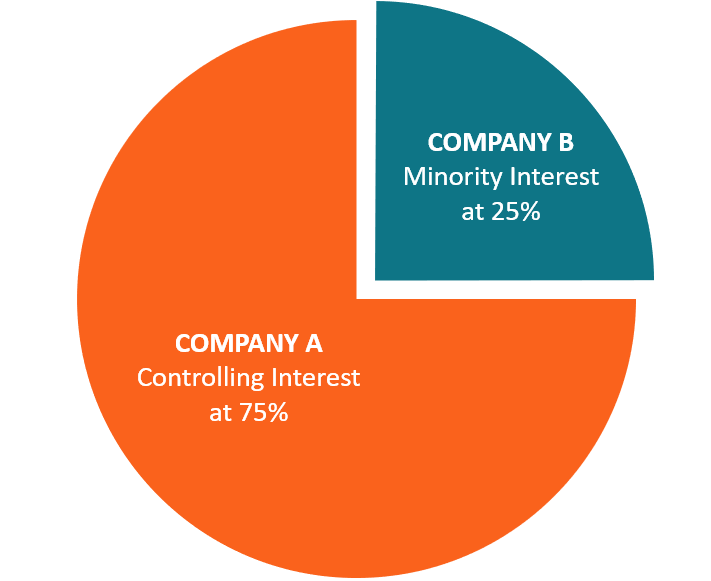 Certainly, minority interest is not a debt because a company is not obligated to repay. In other words, there are no fixed or binding payments. Thus, because minority interest is not a payable quantity, it can’t be considered a debt. Although minority interest does not meet the preconditions that would qualify it as equity, assets on a consolidated balance sheet receive some form of contribution from minority assets. Enterprise value represents a company’s valuation. In most cases, enterprise value is usually greater than a company’s market capitalization because part of it is debt. Nevertheless, a pertinent question that people can’t seem to agree on is whether minority interest should be included in the computation of a company’s enterprise value. Yes, it should be included because enterprise value is a significant portion of a company’s stake in the market. Thus, minority interest is part of the enterprise value. Minority interest provides users with important information when reading a financial statement. It also helps users explore and make informed investment choices. The percentage of controlling stake determines the influence and voting rights of minority interests over the decision-making process. In the past, the concept of minority interest was known as equity, liability, or sometimes, neither of the above. Today, very little guidance is available on presentation and treatment of non-controlling interest. Founders StockFounders StockFounders stock refers to the equity that is given to the early founders of an organization. The stocks differ in a few ways from common stocks in a secondary market. The key differences are that founders stock can only be issued at face value, and it comes with a vesting schedule.